Choosing the right retirement age is as difficult as it is important. A premature retirement can also cost you a chunk of your annual Social Security income. Retiring too early could leave you short on savings years into your retirement. Regardless of when you retire, you’ll want to stick to a retirement budget to ensure your spending stays in line with your savings. 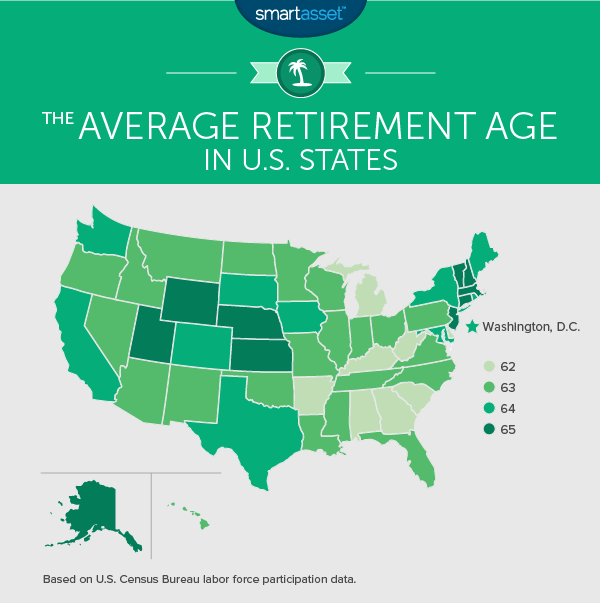 Read the 2016 version of our annual study on the average retirement age in every state. 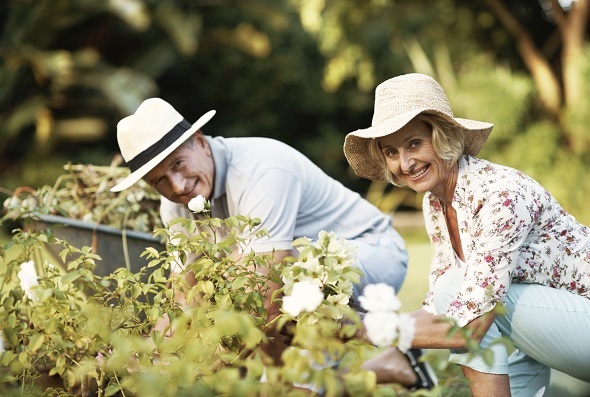 If you wait too long to retire though, you may miss out on some of the experiences you have planned for your golden years. Sticking with your job once you’re ready to retire can be stressful and exhausting. So when is the right time to retire? While the answer to that question will vary from one person to the next, it helps to know what others around you are doing. The “Full Retirement Age” in order to claim 100% of your Social Security benefits is between 65-67 (depending on when you were born). Likewise, Medicare eligibility begins at age 65. Historically, however, most Americans have left the workforce some time before age 65. SmartAsset’s free retirement calculator can help you decide when to retire. What will your retirement look like? Talk to a financial advisor in your area. Education and health services are the largest sectors in the Massachusetts economy. The Boston area is the state’s economic engine. Housing costs in Massachusetts average over $16,000 annually, among the highest in the U.S. That may make an early retirement more difficult. Wyoming is a largely blue collar state. It is the country’s largest producer of coal. It also has among the lowest unemployment rates of any state. More than half of Wyoming’s population works through age 64. The median annual housing expense for people living in West Virginia is just $7,780. That’s the lowest of any U.S. state. Those low costs may make an early retirement more realistic for those who are living on a tight budget. Though Michigan’s unemployment rate has plummeted over the past three years, during the 2000s it was consistently among the highest in the U.S. In 2010, the state’s unemployment rate was 12.6%, second highest in the country. That means more people who can’t find work. If those workers are close to retirement age, they may wind up leaving the workforce entirely. Currently, more than half of Michigan residents are retired by age 62. In our study of taxes and living expenses, the Bluegrass State rated as the best state for an early retirement, so no surprise that it also has an early average retirement age. The state’s $41,000 deduction on retirement income likely serves as an incentive for those who decide to leave the workforce early. The average retirement age in the Palmetto State is 62 years old. At that point, according to SmartAsset’s analysis, more than half of the state’s residents are no longer a part of the labor force. This may reflect the relatively high unemployment rate in recent years. South Carolina is also relatively affordable, which makes an early retirement more realistic financially. This baseline rate of labor force non-participation varies significantly between states, from a high of 24% in West Virginia to a low of 11% in North Dakota. To control for those variations, our analysis added the difference between each state’s baseline rate and the state-average baseline rate back to each state’s overall labor force participation rate. Read the 2016 version of this analysis. 1. 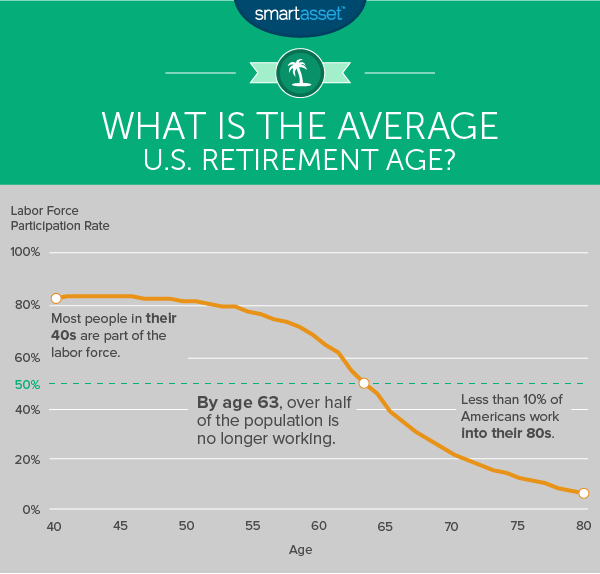 Some calculations of the average retirement age only consider people who are currently retired, averaging the age at which they left the labor force. This can skew the true average toward an earlier age by excluding people who are putting off retirement until later. SmartAsset’s calculation takes everyone — retired and not — into account.